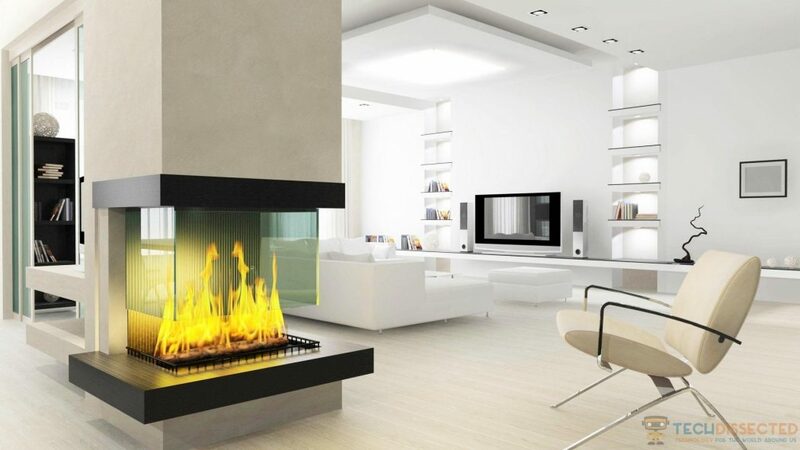 There’s nothing better to add to your home than cutting-edge technology. A curved television screen with the latest surround sound system and LED mood lights are surely worth every penny. But the downside with all this tech is the amount of cables that keep stacking up. If you try to create an ultra high-tech living space you’re going to have to do something to cover these cables up. Many interior designers work hand-in-hand with specialist tech firms and British cable suppliers to fill up spaces with modern tech while cutting back on the clutter. The experts know how to conceal all the cables like they never existed. Londoner and interior designer Rabih Hage, for example, likes to hide speakers behind the plastering of walls for a hidden acoustic system. He has applied this technique to bathrooms and kitchens across the country. Some houses even have hidden LED lights that can be changed with the touch of a button. The lights connect up to a central console that can control things around the house like the entertainment system and window panels. Specialist software developers can make smart home apps for iPads that can act as the central console for the house and be left on a wall mount when not in use. Nowadays, Interior design is less about products and more about services.. If the house can be connected up and controlled wirelessly it saves a ton of space and keeps cables to a minimum. Conceal cables behind the walls. This is an extensive and labour-intensive task, but if you’re creating a high-tech system from scratch it should be worth the effort. Paint cables the same shade as the walls. This way the cables are camouflaged and stuck to the walls where you’ll never notice them. Hide cables under the furniture. A small niche or box under the furniture where all the cables can be bundled up may work well for desktops and television platforms. Use cables as wall art. You can paint them in unique shades and stick them up in artistic patterns across the walls instead of concealing them. These are just some of the ways to hide the cables that clutter your home theatre, living room or study after you’ve added new gadgets. Take the time to carefully consider your options before you go out and buy the latest gizmo.